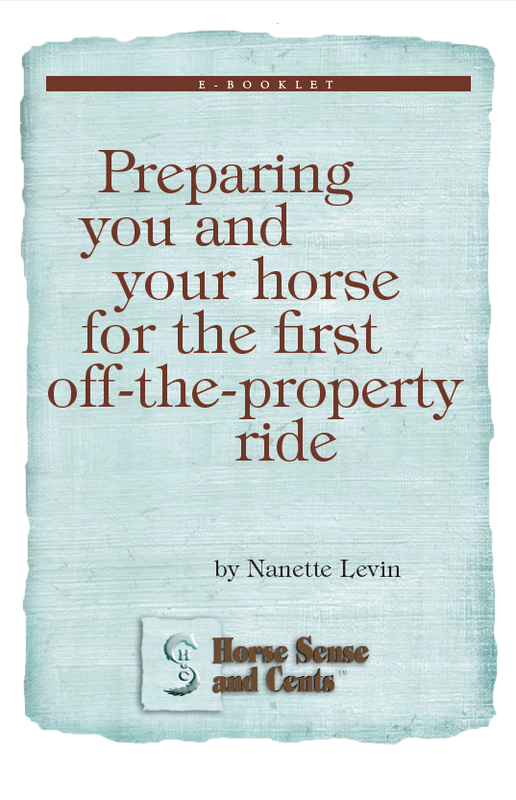 It can be nerve-wracking for anyone (professionals included) to venture off the property with a horse for the first time. This becomes more challenging for novices who don’t have the benefit of drawing from decades of experience. Know you’re not alone – everyone has some doubts, anxiety and excitement associated with that first public appearance. Fortunately, there’s a lot you can do at home to make this premiere event comfortable and fun for you and your horse. 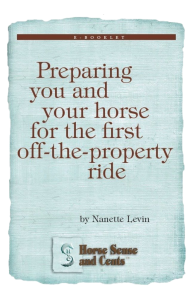 We’re thrilled to have the Preparing you and your horse for the first off-the-property ride e-booklet now available as an audio title. 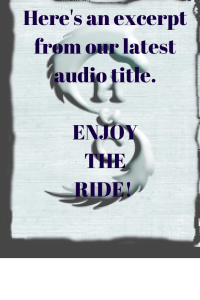 It’s exciting to welcome Susan Kayne to our stable of professional narrators with this one. She’s a horse lover and respected equine television personality with a warm, welcoming way about her that listeners are likely to enjoy. 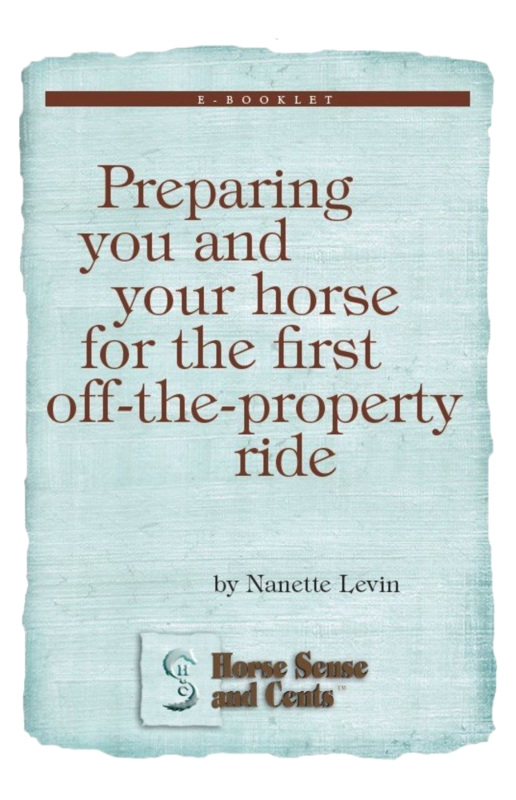 This short, non-fiction book is designed to help you have tons of fun the first time you venture off your land or boarding facility location with a young horse – or a more seasoned one. “While the ground work you apply to building a relationship with an older horse can be similar to activities with a green steed, once you start under saddle time, the approach needs to be different. Young horses tend to look to you for confidence, safety assurances and direction. A seasoned mount with good prior training often automatically assumes the role of caretaker. With a young horse, unless he’s an ‘old soul’, you’ll need to be ready with clear, careful and understanding responses to his concerns so he learns to trust that what you ask will be fair and focused on keeping him safe. What you do in early under saddle lessons will pay huge dividends – or create lasting problems – when you face your first ride away from home. Many advocate long lessons and human agendas with young horse training. You can create a subordinate with such a strategy that mostly does what you demand if you manage to shut down the horse’s brain, but you won’t get a thinking horse that delights in training. Few young horses have the attention span or necessary foundation to process what you’re asking for much more than fifteen minute periods. Sure, if you’re dealing with a strong-willed horse (know the difference between one that is acting out violently in frustration, confusion or fear and one testing your mettle) you need to finish what you start, but if you pick the right lessons for the given day, even with strong contesters, these battles are usually short-lived and, done right, resolved in a way that fosters mutual respect and an associated joy in training. Don’t expect your young horse to learn ten new things in a day. Pick one issue to focus on that accommodates your horse’s proclivities and mood so you both can walk away happy with the accomplishment. Even it’s just walking thirty yards down a trail head the horse hasn’t seen before, that’s enough. Give him early time being lavished with praise for his bravery and willingness to try and you’ll be amazed at how quickly future lessons progress. Ending the session sooner than expected is usually a better strategy than pushing for more when you’re having a good day. Reduce your horse’s stress – and yours – with smart ideas you can apply at home to get ready for an initial show, community ride, trip to an instructor’s facility or hopeful fun time with friends. This title can help. 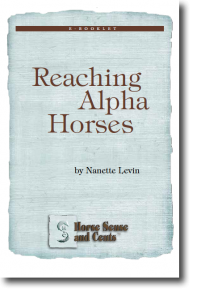 Buy it on the Horse Sense and Cents® website or as a Kindle, Amazon, Audible or iTunes edition. It’s under $4 and worth checking out. If you’ve been a long-time subscriber of this blog, or even if this is your first stop here but you like what you read, I could really use your help. For more than six years, we’ve been providing tons of free, useful and easy to understand information to help make your horse encounters more rewarding. 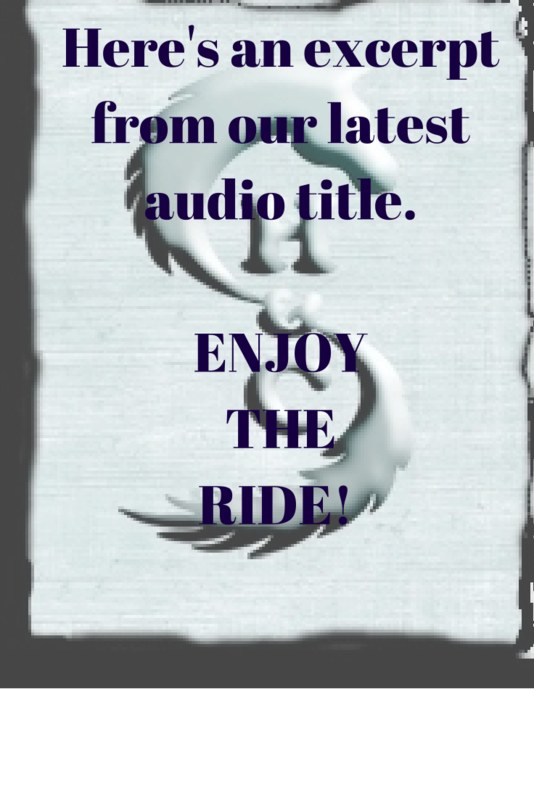 With the addition of audio books, we have the opportunity to earn rewards if our audio books are a first purchase. 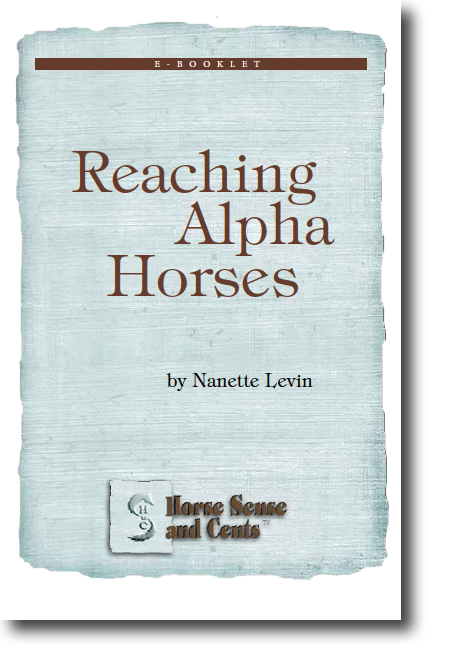 So, if you’ve been on the fence about signing up for Audible (it starts at $7.49-$14.95 which includes a ‘free’ book each month – our Turning title is very popular here at $19.95, by the way), please consider doing so and making one of the Horse Sense and Cents® titles your FIRST selection. I’d be very grateful. Send me an e-mail letting me know you did and I’ll send you a surprise. What’s in it for you at Horse Sense and Cents®? We’re all about keeping the horse in the conversation. Whether this involves customized young horse training ideas designed to help you understand what your horse is trying to tell you (you can read tons of free blog posts to get you started) or finding new career ideas for you with horses in the mix (through our Inventing Your Horse Career initiative), we offer a variety of free and low-cost resources that are unusual and tons of fun. Horse Sense and Cents® offers creative and seasoned perspectives, resources and products designed to help you discover smart and affordable solutions for your equine challenges (get it – sense and cents?). Too much focus lately has been put on making the horse do what you want (and charging a hefty sum for the DVDs and other products created to elevate you to boss). Can you imagine how much richer your partnerships could become if you could learn how to listen to what your horse is trying to tell you? Our material is presented in a way easy enough for a novice to understand with insight professionals appreciate. If you want to dig a little deeper (or save time by grabbing exactly what you’re looking for) you’ll enjoy our print (signed by author here – but also available at your favorite retailer), PDFs/Kindle/Nook e-booklets (about 5000 words or 21 pages each) and audio titles (available on iTunes, Audible, Amazon, etc.) designed to help you discover a better way to tackle horse care, young horse training and the relationship you seek with your horse. 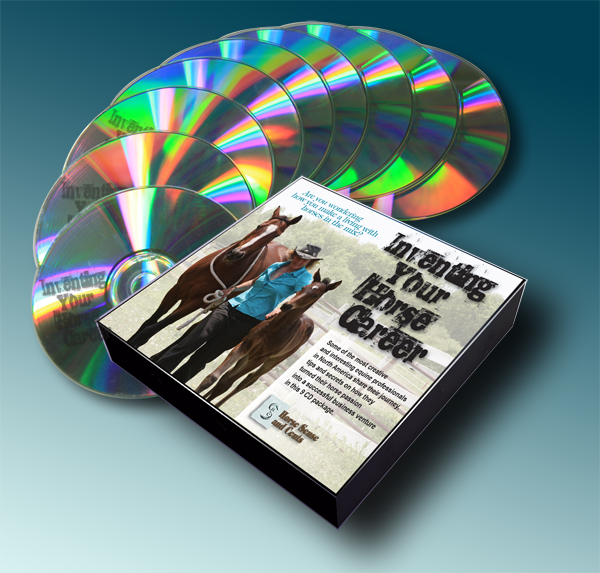 If you dream of a job that includes horses, you’ll find new ways to make this so with our Inventing Your Horse Career series that can be purchased as a CD set, individual Kindle Editions or (coming soon) MP3 singles available at all the major online audio providers. Give yourself the gift of a different, more effect and more rewarding relationship with the horses in your life this holiday season by checking out some of the knowledge products we offer (starting at $2.99). If there’s a special family member, friend, associate or client in your life that has the horse bug, consider making your gift to them memorable and lasting this year with new perspectives and approaches that make their heart sing. We’re happy to consider new titles or products at blog readers’ request. If there’s something you don’t see but would like to know more about, leave a comment below or feel free to e-mail me (Nanette) directly. I promise I’ll provide a personal response to your query. Plus, if we do choose to create title you ask for, we’ll give you credit in the front matter (with your permission, of course). Do you have jitters about that first ride off the property ride with your horse? Novices and professionals alike get butterflies (and sleepless nights) thinking about how that first ride away from home might go. Of course, for experienced riders this usually involves a first for the horse, where with novices (hopefully) they’re on a more seasoned mount. In both cases, the angst you feel is magnified as you express it to your horse. Fortunately, there are things you can do at home to help keep both the horse and the human calm, knowing your horse is ready to trust you to keep him safe. Of course, that adrenalin will always flow with the excitement of new adventures (for both you and your horse), but if you’re both ready to team up to tackle challenges, it will be a rush instead of a panic. Knowing you’ve built that bond makes your first public appearance a lot easier. 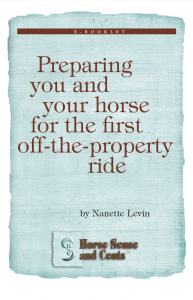 We’ve recently released a new title through Horse Sense and Cents®, Preparing you and your horse for the first off-the-property ride. You can find it here as a Kindle Edition and soon, as an audio title. If you grab it now (May 31th through June 4th) you can get it for free. Please consider returning the courtesy of this complimentary offering (we love our readers) by leaving an Amazon review or at least doing a two-second click (this book will appear on your Amazon page after you download it – just click the cover and you’ll be given an option to rate the book) to give a (five 😉) star recommendation. After you’ve established a good partnership on the ground, it’s time to carry the confidence you’ve built with each other over to under saddle work. Keep the home lessons short with big rewards. From your ground work, you should have been able to find some way besides treats to let your horse know you appreciate his effort. It depends on the horse, but some respond well to a ‘good girl’, others have a favorite spot they like rubbed or scratched, maybe it’s letting them jump a fence, eat some grass, nuzzle with a buddy – you figure out what really gives your particular horse great pleasure and use this to thank him for a job well done. Obviously, what you do to show appreciation for efforts along the way will be different than the grand thank you at the end of a session. Of course, it’s always important to reward the horse for the try, so be quick about acknowledging his effort any time he does something you ask under saddle with a quick ‘atta boy’ that he recognizes as a sign that’s what you’re looking for with a reward he appreciates. If you want to keep your horse comfortable and confident as you ask him to perform off the property, make sure you don’t over-face him or put him in harm’s way at home (or the stable where he is boarded). This means keeping the lessons short enough so he doesn’t get frustrated, only asking for reasonable progression day to day, being calm and encouraging with new challenges and exposing him to what he’s likely to see when you get to your destination. We’re trying the KDP Select program for the first time with this title. We’ll decide, based on how you all respond (with action, comments, reviews, etc.) whether we’ll offer future titles as Kindle library loans and free downloads for a five day period (this is a supposed perk of this program) as they are released. Frankly, I’m not sure if this is a good idea for Horse Sense and Cents®, nor how to make it work. I’m not even clear if it’s something you all would appreciate. Are any readers using the Kindle lending library? Are you comfortable downloading free Kindle offerings (you can do this with or without a Kindle Reader, although they do make it harder without one)? WE have a large UK blog audience (and book buying populace) – do you have access to KDP Select titles and associated free download promotions? Have you seen KDP Select participants leverage this tool brilliantly? Would you be willing to share strategies you’ve seen done well with this promotional program? Any feedback, ideas, thoughts or comments you could provide to help us decide how we proceed with this in the future would be so much appreciated. Please help me (us – it is a team making all this so) decide on what we do in the future to make what we offer most convenient, appealing and useful to you. Call, e-mail, comment or share to provide some direction on future decisions. Thanks so much for any help you’re willing to provide here. This blog is usually focused on providing great free tips and virtually no promotion or requests, but I could really use some help from all of you right now to help shape our strategy for the future. You’re awesome! Blog tour and horses – what fun this could be! Some time ago Jackie Anton announced her plans for a book blog tour. Honestly, although this is something I’ve heard of, I didn’t have prior experience as a direct participant. Regardless, it seemed right to respond to her call for help as a fellow horse enthusiast and author. I read the book Backyard Horse Tales: Sox, which is the subject of this tour, with plans to provide a review as part of this post. What I realized is it’s been too long since I’ve read a children’s book to provide fair commentary. Well that’s not entirely true as I decided it was time when book five or six in the Harry Potter series came out to find out what the buzz was about – and thoroughly enjoyed escaping to Hogwarts and the world of magic through each Rowling gem. Anton’s book, though, is clearly designed for a much younger audience. That said, the book is a quick read for an adult at about 100 pages of large point type. It also includes an Appendix showing the parts of the horse with an illustration and corresponding numbers, a Glossary and a history summary about the sport of reigning. The tale is told with Sox (the horse) as the narrator with interspersed diary entries from Emma (a young girl who develops an attachment to this horse) offering her perspective on the unfolding events. May 22nd Thrice the Mischief, 3 times the love (general site address – story not published at time of this writing). May 23rd Horse Sense and Cents – you’re here :-). Jackie Anton writes a family friendly series “Backyard Horse Tales.” (readers 8 to adult) Sox 2nd Edition expands Sox and Emma’s story, and has a brand new ending. This version is enjoying excellent early reviews. Purchase at http://www.backyardhorsetales.com #2 “Frosty and the Nightstalker” will be out by fall of 2012. “Prelude: Backyard Horse Tales 3 Don’t Call Me Love is an E-Book available on smashwords.com and amazon.com. While the book blog tour concept has been around for quite some time, you rarely see it in the equine industry. I think it’s a great idea not only for book promotion, but to bring attention to anything you’re doing that might be of interest to others in a wider geographic area. Do any of you have something you want to shout about that would be of interest to other blog readers or publishers? It need not be something you’re selling – why not c0nsider accomplishments, dreams and milestones too? Favorite equine blogs? Sites you think might be interested in sampling and reviewing horse related products, services and businesses? Something you’d like to read more about to help you, your horse or your business thrive? This could be a lot of fun for everyone involved and a valuable service to the readers. Please share your thoughts in the comments below, or feel free to send a private e-mail, if you prefer. Sneak Peak excerpt from Turning Challenging Horses into Willing Partners. Due for public release in 2010. We spent some time on the ground with Red, as it was apparent she needed some preliminary guidance that had been skipped. We also wanted to establish communication benchmarks. She was actually responsive and compliant when we proceeded to under-saddle lessons in the round pen. Once we moved out of the confines and routine of this space, however, the flipping penchant resurfaced. In this case, we were able to step off as she went past perpendicular and hop back into the saddle while she was still on the ground, staying with her as she returned to her feet. That was the last time she flipped. We had another week or so of good progress with this filly before her behavior deteriorated, and this time, she decided to lay down after we stirruped up. She was flat out on the ground and wouldn’t move. We sat on her neck (this is usually referred to as sitting on their heads, but that’s not really where you want to put your weight – horses cannot get up without their head and neck to use for momentum and the back of the neck is the safest place to be for both you and your horse) to immobilize her with a strategy designed to discourage this behavior in the future. enough information to determine if there was some major underlying physical problem that was causing this behavior (she traveled sound and seemed to be unencumbered by pain, but we didn’t dig too deep) or if she just had a major screw loose. Either way, this was one of the few we quickly determined was best to toss back. We called the owners and admitted defeat. They decided to forgo any future starting attempts and bred her instead. We’ll let someone else tackle that progeny beauty when it’s time to start riding lessons. Turning Challenging Horses into Willing Partners due for public release in 2010. Discounted bulk pre-publication orders now being taken. On occasion, you really do find yourself burdened with a nut. While preliminary bad breaking definitely exacerbates problems, when you strip it all down and finally get past the baggage, there are times you must admit that the horse you’re working with is simply just not right in the head. Interestingly, these critters can be very predictable in what sets them off, but how they react is never a given. Surprisingly, they can usually handle distractions and circumstances that should make a sane horse blow, but freak out with stuff that shouldn’t be a concern. Crazy horses rarely give you an opportunity to completely relax. There will always be issues that make them occasionally frustrating and often dangerous. Horses that are totally governed by fear rarely consider their own welfare when reacting, and this is a common trait of equines who are nuts. Mean horses are always limited with what they will do by a self-preservation instinct, making them at least predictable in how far they will go. Not so with crazy horses. They’ll crash through fences, impale themselves, flip, run off on unsafe ground, and have occasions when they go deaf, blind, and oblivious to immovable objects that cross their panicked path, while reacting to ghosts in ways that make no sense. Sometimes, you’ll encounter a psycho that has so much talent it seems worth the effort. Usually, it isn’t. Still, we’ve had some success with crazies, and some failures too. Most, ultimately, leave you shaking your head on the time and money spent to get them two strides forward and ten steps back, wondering if the sanity issue extends beyond your equine’s behavior and if there’s a white jacket in your size. While it seems prudent to try to recover your investment, sometimes it’s best to cut your losses. Time and money gone is just plain lost — and putting good money after bad is rarely a good idea. If you’re determined to proceed, the anecdotes below may help guide you in your quest. She didn’t, and we landed the prize for $500. The next three years netted unimaginable nightmares. We figured he had just been mishandled, poorly started, and conditioned to react inappropriately. Certainly, with patient and skilled guidance, he’d transform into a cooperative steed. We were wrong. We’d spend minutes or hours working with this horse one day, progressing to a new understanding, only to find those lessons not only lost but problems magnified by the next day. we were thrilled if we were able to complete the first phase. We were also convinced his incredible talent over fences made it worth the temporary embarrassment and extreme frustration borne while we worked through his issues. • Rule out physical issues that may be causing pain and the horse’s associated frustration in his failure to communicate. • Do not continue to push a sore horse, or you will only make him sourer and could turn him mean. Give him the help and the time required to heal prior to resuming training. • Figure out whether routine or varied activities are the preference of your sour horse and give him what makes him happiest. • Be patient, flexible, and accommodating with a sour horse when their behavior is justified. Conversely, if you’ve taught a horse to be sour by rewarding bad behavior, resolve to stop the pattern or get some help. • Try getting a horse out of the routine with some fun activities, trail rides, and long walks if his sour behavior is likely due to too much of the same grind. Some sour horses will bounce back pretty quickly once relieved of the drill that has made them bored and cranky. • It is rarely effective to discipline a sour horse for his behavior. If a horse has come to resent riding, punishing them aboard only reinforces this conviction. Instead, try finding an easy activity they enjoy and rewarding them for their cooperation. Once you’ve gained a rapport, reintroduce them to the discipline training in lighter doses and with greater rewards for their achievements. • Horses that have turned sour rarely become standout competitors (unless you change their career to something they learn to enjoy), nor fun pleasure horses. If your aim is to put them back into the routine that created their sour nature (unless this is due to pain you address and correct), you are likely to be disappointed. Consider a different project. • Find some riding activity that’s really fun for your sour horse and reward him with this after every positive response to a lesson (this could be trail riding, jumping, riding with a companion horse, going fast, going slow, a long rein, a swim in a pond – each horse is different and you need to figure out what makes your horse happiest). • Know when to call it quits. Sour horses are some of the toughest to turn and sometimes there is no reward for the effort. If you come to hate riding or working with this horse, it may be time to say goodbye. Quality of life (yours and theirs) is something worth considering with these projects. • The round pen provides the close quarters to begin to develop a rapport and trust with a timid horse. Here, you can establish some basic body language cues supported with voice commands to present yourself as a confident, kind guide while you encourage and reward your steed to tackle future requests with courage. While many contemporary horsemanship methods advocate considerable training time in the round pen, we’re not convinced this is a good approach, and have found it is not effective with timid horses. It’s a good starting point for a few days to see and guide the horse, but not the best environment to bring a timid horse along. Exposing them to various concerns in differing environments with a steady and unflappable nature is more effective in helping these horses blossom. • Timid horses tend to respond much better to praise than punishment. Most timid horses love a pat or an encouraging voice when they face and conquer a challenge. Conversely, a stern voice and/or training that incorporates stimuli designed to discourage behavior tends to make them more wary. • Take your time with timid horses. Their condition is often the result of too much, too soon. It’s important to gain their trust, and bolster their confidence, by encouraging them with your steadiness to tackle easy tasks they can understand and learn to enjoy. • Make early lessons quick and easy for an immediate win. Timid horses blossom and excel after just a few sessions if they have a confident hand and are rewarded for their effort. • Buddies can be a good tool for encouraging timid horses, but don’t overdo it. While another horse can help avoid some challenges, it’s equally important to establish a trust in the human handler to keep them out of harm’s way. If all issues are resolved by another horse leading the way, the timid equine will not gain the confidence in themselves and their rider/handler to excel. • Give timid horses the time to process a lesson. Rush them and they will become more concerned and less trusting of you. • Be fearless with timid horses. They will sense your concern and react. If you can’t be confident, patient and calm in all situations you introduce them to, find someone who can. be transformed by backing off of the flatwork and jumping. object more frequently and dramatically to even simple tasks. they’re generally not very much fun to work with or be around. Plus, their attitudes leave them performing short of their potential. only relief, they may be tough to tackle. beast fit enough for speed training. Sneak peak excerpt from Chapter Six of Turning Challenging Horses into Willing Partners (due for release in winter, 2010). intent is to turn your mount into a reliable and confident steed. endgame was to improve her racing performance. When Spook arrived, we discovered that the perceived crazies were merely an expression of her insecurity, likely exacerbated by fearful riders who bolstered her concerns. We weretold later that exercise riders working for her former trainer were terrified of this gal, and proven right as her behavior deteriorated. Sometimes, it’s amazing how much the humans handling a horse can unknowingly dictate the horse’s attitudes and reactions. sounds that unnerved her, was a necessary approach.